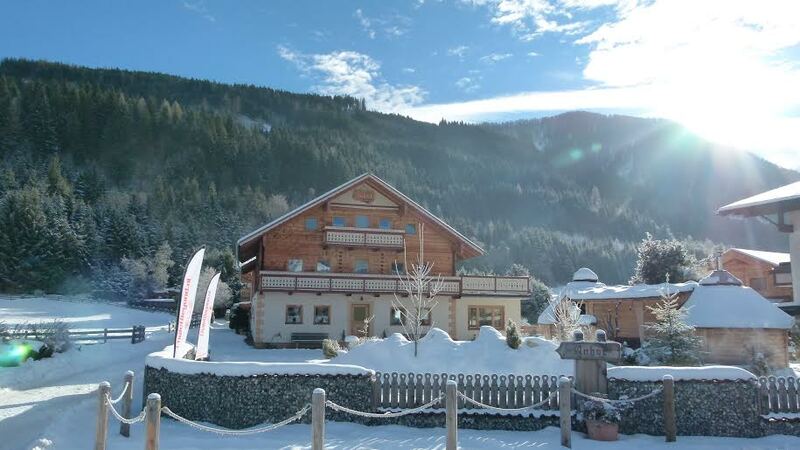 Since 2012 we can offer Chalet Auhof in Austria to our guests. 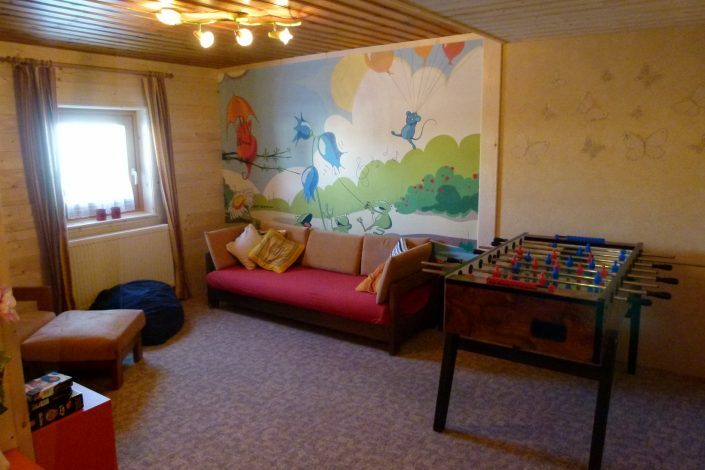 The chalet is in 2012 completely renovated. Because of the size, location and facilities this is an unique wintersport chalet. The former farmhouse is located at the edge of the ski village Flachau, about 700 meters from the skilift and slopes and 900 meters of the city centre. 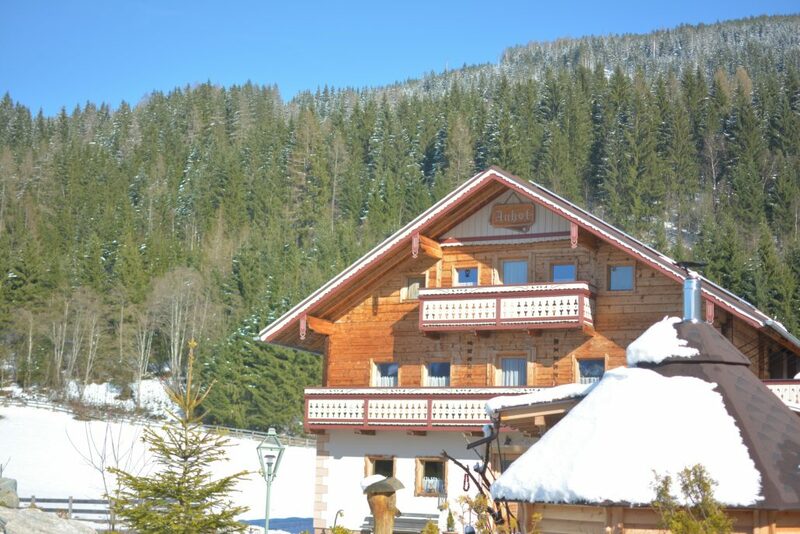 The busstop is direct in front of the chalet and will take you there in 5 minutes. 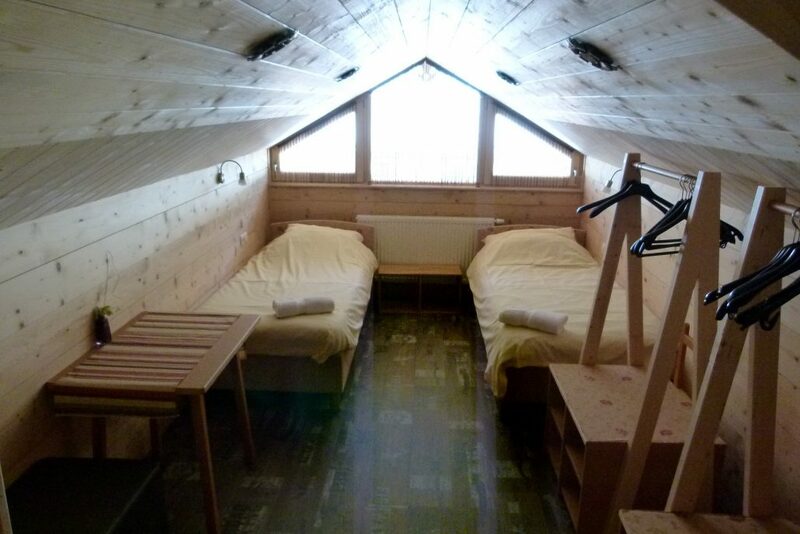 The chalet is 450 m² and because of this size perfect for groups till a maximum of 26 persons. 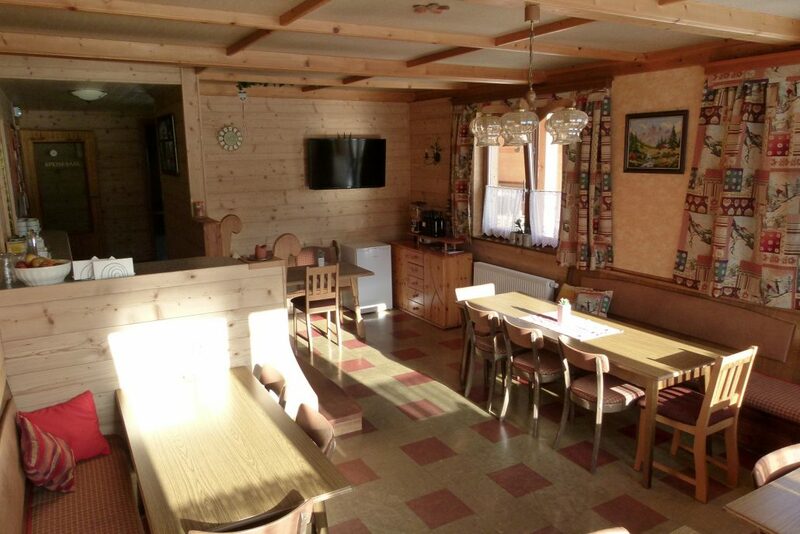 The chalet has got a Stube (dining room) and a games/ dvd room with flatscreen television, dvd player and gamestation. 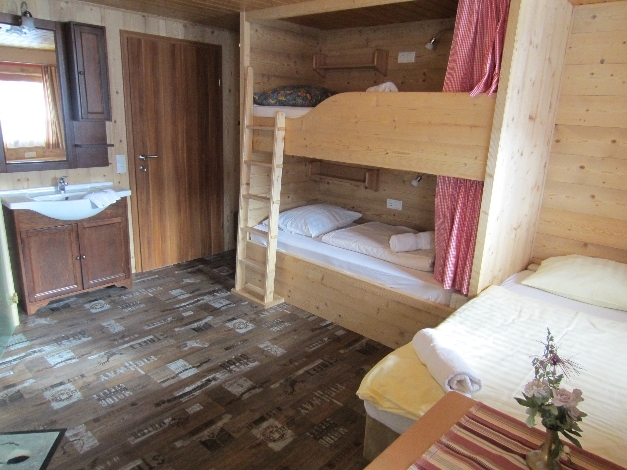 The chalet has got 12 bedrooms and a separate area for storing and drying ski equipement and wet clothes. 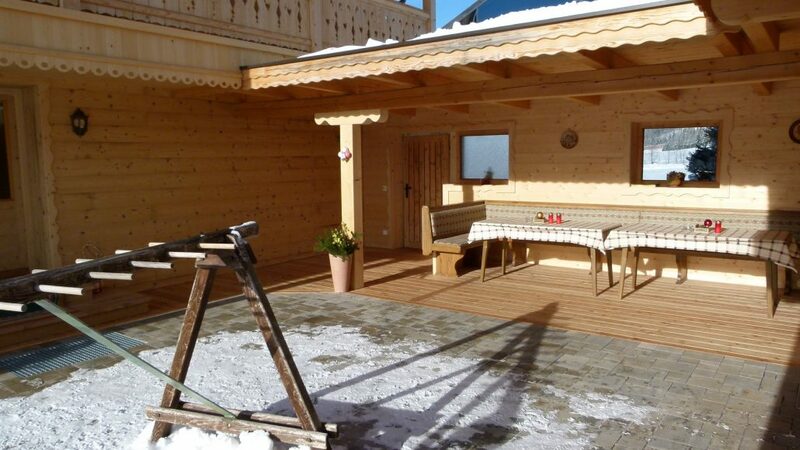 Outside the chalet there is a half covered sun deck with excellent views over the surrounding mountains. In the garden you will find a finish style wood burning sauna*. This chalet is perfect for large groups, but also smaller groups can book separate rooms. This way you can find the privacy of your own room (lockable) and the atmosphere in the common area. 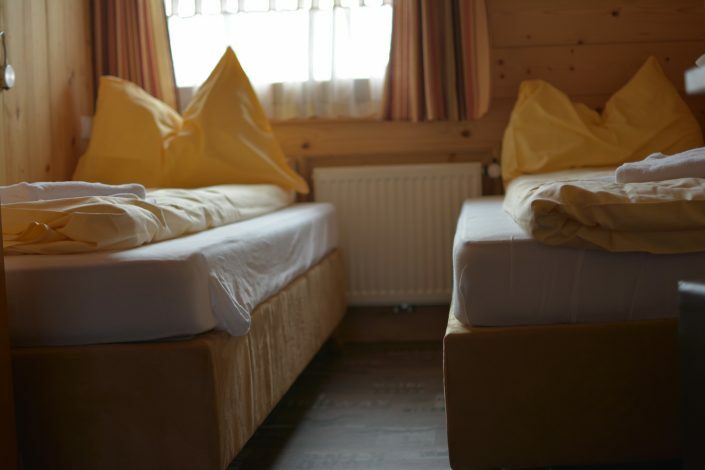 Our chalet staff will take care of the reception, cleaning of the common areas, breakfast and dinner. * Free of use once a week between Monday and Friday. 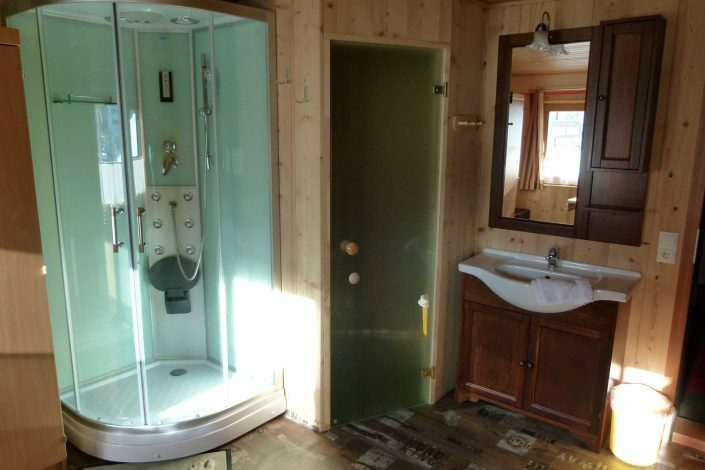 If you would like to use the sauna another time the costs are €40 per 2 hours. For small groups it is possible to book just one or two rooms in the weeks marked blue. This way you can share the lounge with other small groups. Free use of the sauna once a week. Do you want to take a lunch with you? For €7,50 p.p.p.d. we can arrange extra bread, fruit, savory and sweet snacks to pack for lunch. Pre-book your liftpasses with us and we will make sure we hand over the passes by arrival. Don’t waste your time! Outisde the holiday season we can offer the liftpasses at a discount. We work together with the company Sport am Jet. When you pre-book the equipment it will be ready for you at the shop by arrival. When you book your equipment with us you will get a keycard to lock your hired equipment for free at the ski lift. The company Sport am Jet is also our partner for ski- and snowboardlessons. For small children they have the ‘kindergarten’. Lessons will start at the age of 5 or 6 years old. You can book lessons for 1 to 6 days. The lessons will be 4 hours a day. It is possible to book lunch, so the children eat together with the ski instructor. We are glad to take care of your reservation. 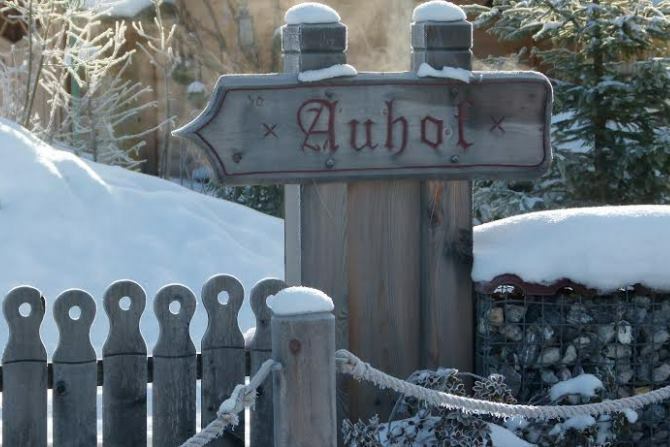 When you fly into Salzburg or Innsbruck we can organize an airport transfer for you to chalet Auhof. Just let us know. The village Flachau is part of the largest ski area of Austria, Ski Amadé. The village has got three lifts which will take you into the smaller ski area of Salzburger Sportwelt with 350 kilometer of slopes. Do you want to ski or board in an other area you can easily take a bus or your own car and you can ski in the larger area of Ski Amadé (860 kilometers of slopes) with your own liftpass. The ski area of Salzburger Sportwelt contains several different villages, including Flachau in the middle. The ski area is one of the most modern and most innovative ski areas. Because of this the lifts are comfortable, quick and there are almost no waiting lines in high season. 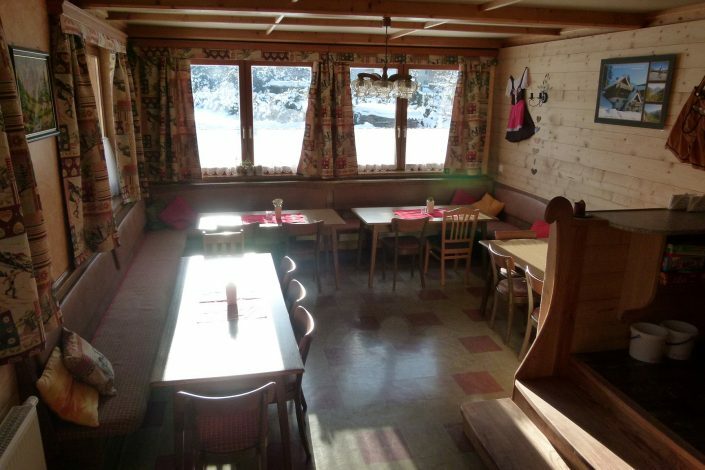 On the slopes there are several cozy ski bars where you can drink a glühwein or hot chocolate. The ski area is perfect for beginners thorugh the wide slopes. Down at the station there are 5 practise slopes. For the more advanced skiers there are enough red slopes to entertain you. 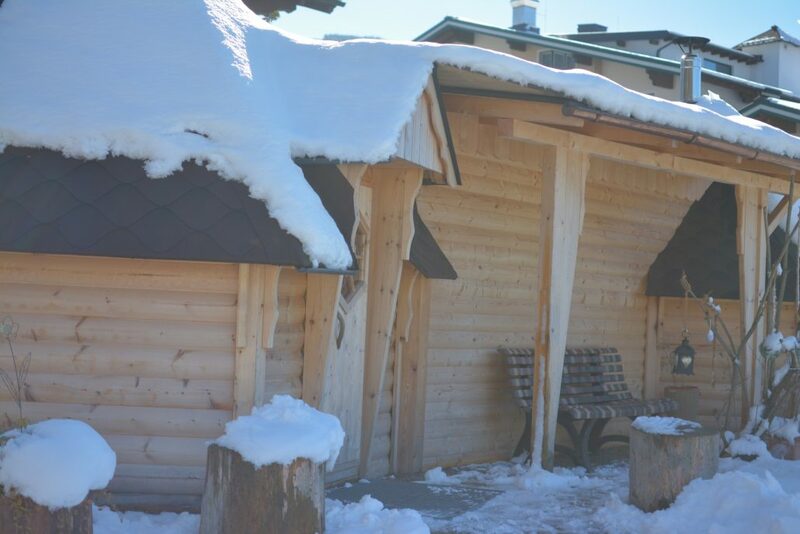 Ski Amadé consist of 5 smaller ski areas with in total 25 villages and 860 kilometer of slopes. There are skibusses in between the several areas where you can ski or board with just one lift pass. Bad winter with not enough snow? 85% of the slopes in Ski Amadé can be prepared with artificial snow.